Let us help you meet your 2018 weight-loss goals! Learn more about robotics-assisted technology for knee-replacement surgeries. Comprehensive geriatric behavioral health care in a secure inpatient setting. Recognized for Patient Safety Excellence Five Years in a Row! 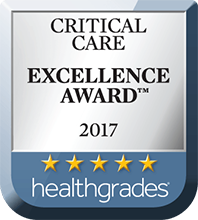 Alvarado Hospital Medical Center is a recipient of the Healthgrades 2018 Patient Safety Excellence Award™, a designation that recognizes superior performance of hospitals that have prevented the occurrence of serious, potentially avoidable complications for patients during hospital stays. Alvarado is the only hospital in the city of San Diego to receive this recognition four years in a row (2015-2018). Alvarado Hospital is a member of Prime Healthcare, and Prime Healthcare has more Patient Safety Excellence Award recipients for three consecutive years (2016-2018) than any other health system in the country. The distinction places Alvarado among the top five percent of all acute care hospitals reporting patient safety data for its excellent performance as evaluated by Healthgrades, the leading online resource for comprehensive information about physicians and hospitals. An extensive range of diagnostic, therapeutic and innovative surgical services are offered. The San Diego Rehabilitation Institute restores quality of life for patients. We have compassionate staff and personalized therapy services. Find Out More THANK YOU TO OUR SOCAL GOLF CLASSIC SPONSORS! Our spine and joint program is modeled after the nationally renowned Marshall Steele program, known for superior outcomes and high patient satisfaction. As one of the most respected weight-loss programs in Southern California, we offer specially trained staff and comprehensive follow-up care. We offer one of the first hospital-based sexual medicine programs in the country, take every patient's whole health into consideration. Phone: (800) 258-2723 | Local Phone: (619) 287-3270.